Chevy “Grilling” On The Cover Of bon appetit February 2019 “Healthyish” Issue - Whatever Works! These magazines arrived in the mailbox today. 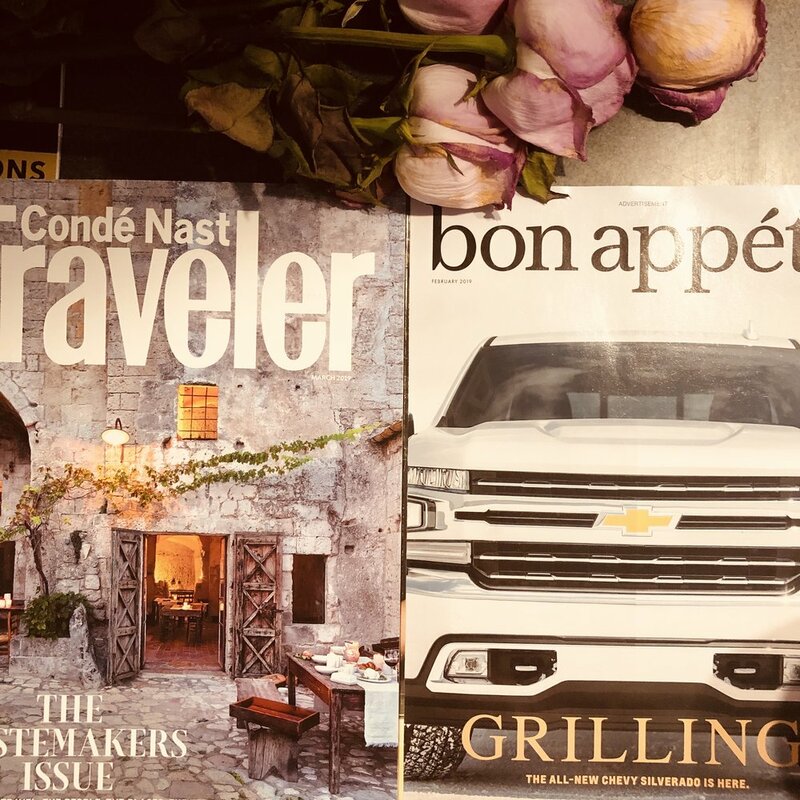 Condé Nast Traveler and bon appetit. Can’t wait to read! Re the bon appetit cover of the enormous grill on the Chevy Silverado: whatever works, y’all! 😂 I’ll take that all American grill. Haven’t seen the magazine out in the wild on the newsstands to see if this advertisement cover is also used on retail shelves. Variety magazine also sells their cover to advertisers, especially around Oscar time when Oscar campaigns from film studios are fierce for attention. Reading for the night...in preparation for our hopeful new series...Sunday Reading. Does it count that I’m starting on Monday? This magazine, Sift, is from King Arthur Flour. Yeah. That’s right. Because companies see magazines as good for business. And this Holiday 2018 issue employed a fair amount of people, most of whom are full time freelance or work for King Arthur Flour. Right now, the magazine comes out 3 times a year: Spring (March), Fall (August) and Holiday (October). Each new issue becomes available on the last Tuesday of the month it publishes in. There are great product recommendations in the pages as well. And a holiday gift guide! Future updating into Tin Shingle’s Media Contact Library we go. To make sure you know about these foodies. All Access Members of Tin Shingle get instant access to that idea 💡center of goodness. 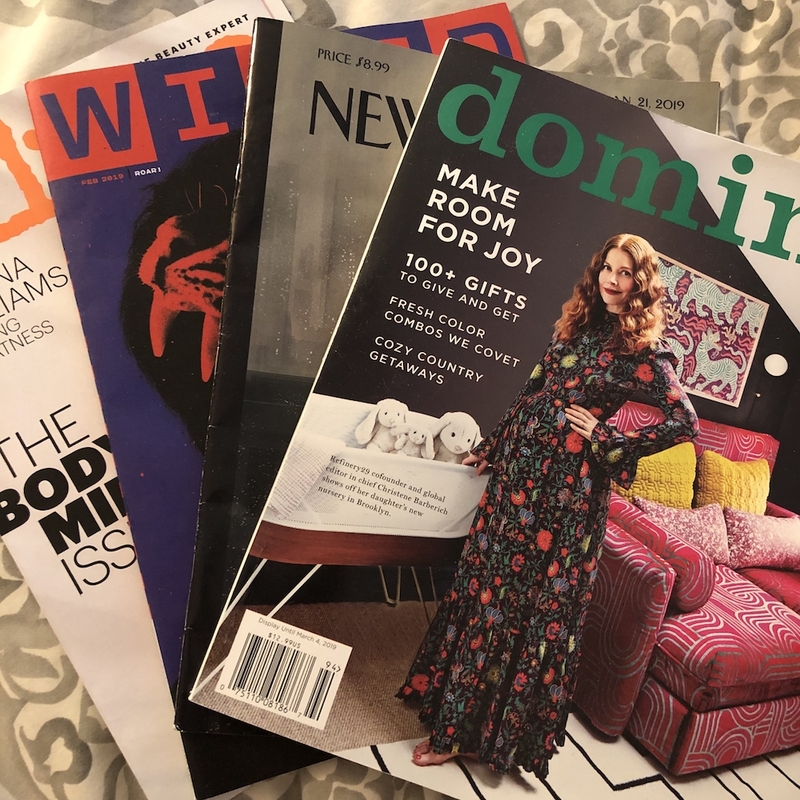 #Magazining: Who Are You Reading This Weekend? Who are you reading this weekend? Pitching the media becomes so much easier when you know what they covered, who else covered it, how they covered it, and where your story angle fits in. Easily fill up your PR Planning and Tracking Template with story angle ideas for the myriad of ways different media outlets could feature your business or product or service expertise. Download the template from the Template section of this website. Free for All Access Pass Members of Tin Shingle! PR Tip: Just because there are 10 different ways to feature your business, you wouldn’t include all 10 of those in your pitch. You would zero in on 1, and write the pitch around that. I go into more detail about this in Tin Shingle’s Commmunity Boards available to Community Level 1 Members. Join us! And start improving your pitches.